Beer brand Singha has teamed up with pop-up specialists Shuttlecock Inc to bring Thailand's new year celebrations to Carousel London from 14-15 April. The pop-up event will see the Marylebone space transformed into an immersive experience inspired by the Songkran water festival - the name for Thai New Year. 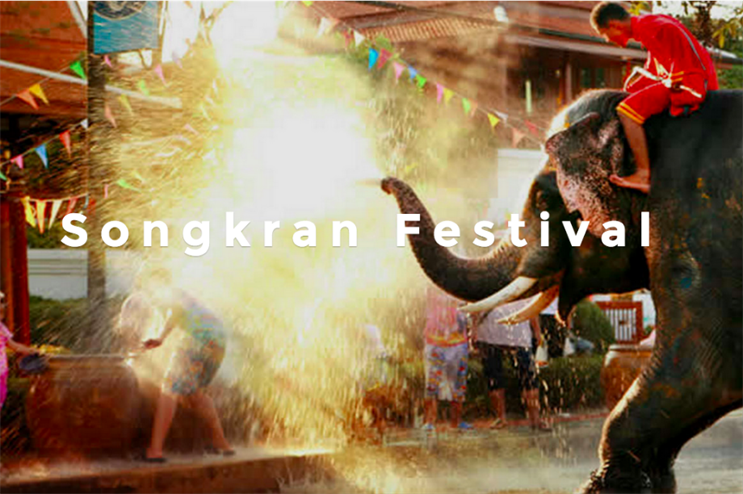 Traditionally, Songkran involves communities taking to the streets to eat, drink and drench each other in water as a relief from the heat. The venue will mirror the surrounds of downtown Chiang Mai, complete with an array of shops and bars. Here, attendees will be able to dine on street food and listen to traditional music provided by live DJs. Each £35 ticket will include two complimentary Singha beers and three northern Thai dishes. According to Shuttlecock, there will also be a 'sprinking' of water-based activites. Anna Templeton, co-founder at Shuttlecock, said: "Chinese New Year is huge over here so we thought why does no one really know about Songkran? We decided to create our own take on it where people can enjoy the vibrancy of the festival but not get soaked. We teamed up with Singha for this event so people can enjoy an authentic Thai beer alongside freshly cooked Thai food, lantern making and other water inspired fun!" Shuttlecock announced Carousel as its permanent home back in 2014. It's five-year contract has seen it host its own brand events as well as hire the space out to other organisers.